CityJet has agreed a deal to buy Cimber, the Copenhagen-based subsidiary of SAS (Scandinavian Airlines). The airline also said it has secured a major six year wet lease contract from SAS to operate regional services from Copenhagen in Denmark. CityJet's current wet lease contract with SAS will increase from three years to six years and the Irish airline has also placed an order for up to 10 new CRJ900 jets. CityJet will take control of Cimber from January 31. 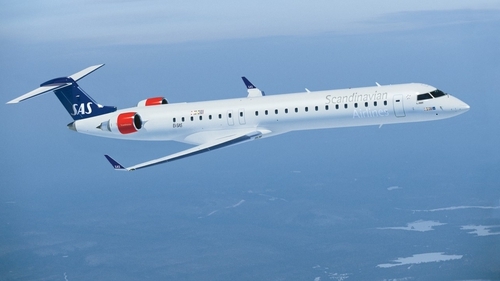 The airline said it will continue to operate its Copenhagen network on behalf of SAS using Cimber’s current fleet of 11 Bombardier CRJ900 aircraft. CityJet has also confirmed an order for up to ten new CRJ900s, which will be used in wet lease production for SAS and which will replace the current Cimber aircraft during 2017 and 2018. Cimber operates services on behalf of SAS to more than 30 European destinations. Since becoming independent in 2014, CityJet has seen continual growth across its network. It will carry almost three million passengers this year on its scheduled services, charter services and wet lease services on behalf of partner airlines. "This new SAS contract and the growth delivered by the acquisition of Cimber advances CityJet's stated strategy of building its role as a provider of regional jet capacity to airlines across Europe and follows our successful inauguration of services on behalf of SAS in March 2016," CityJet's executive chairman Pat Byrne said. Mr Byrne said the staff of Cimber Airways will join CityJet's 870 current employees. These include almost 200 based in the Nordic region.